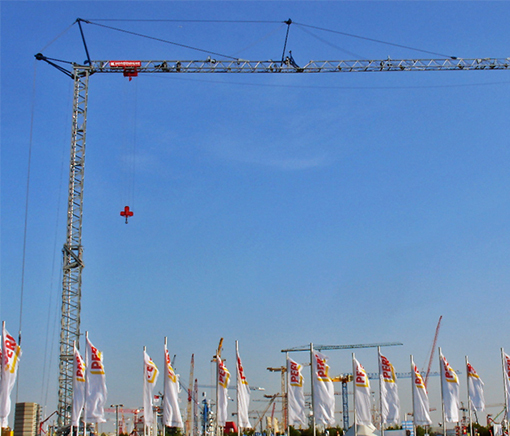 Skycrane’s fleet covers a wide range of new and used tower cranes, from heavy lift to small, self-erecting cranes. We also rent, service, and install all additional equipment needed for lifting, from Man & Material or independent hoist units, to foundation anchors, to high-rise derrick cranes. Contact us and our expert team will find the equipment most appropriate for your job site. You can have peace of mind because we support you through every step of your project, from purchase to factory leave. We support our rentals and sales by offering project support such as configuration drawings, concrete foundation engineered drawings, crane overlap precautions, job site rigging recommendations, and crane camera system recommendations. What we’re most proud of is that we have no hidden costs. We’ll work with you to provide a comprehensive quote upfront that takes into consideration all important aspects of project costing including erection, dismantling, foundation design and installation, inspections, re-inspections, and bolt certification. Spare parts are available upon request for all rental and sale units. Contact us and include your crane make/model and the part description/number in your correspondence. We’re Canada’s largest full-service tower crane rental company, with a modern fleet of Terex Peiner units that are fully CSA/ESSA Electrical compliant and Ontario Structurally certified and all the other equipment and services you’ll need available in-house. The Skycrane engineering department designs tower crane foundations and related components and the machine shop produces foundation anchors, tie-in collars, internal braces, and building connection struts. 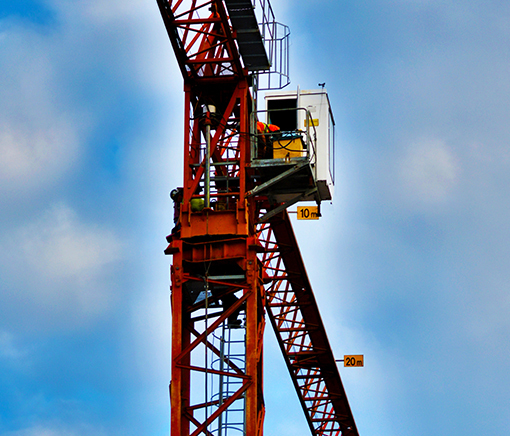 Our team takes care of every step until the tower crane is installed at your jobsite – and then some – including overhauling every unit before delivery, thoroughly training your crane operator on the machinery, and maintaining ongoing communication between your jobsite and our technical support crew throughout your project. 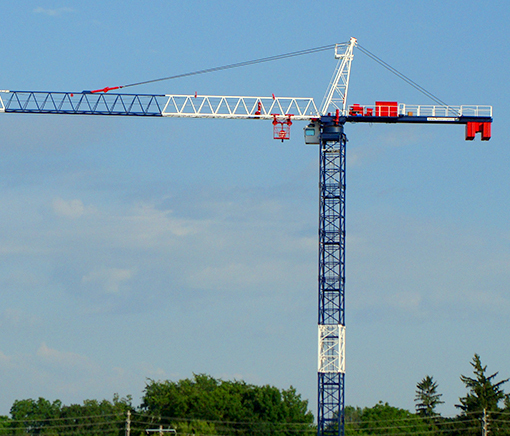 Contact us with your project needs and we’ll set you up with the right crane rental for your job site. While our inventory is constantly changing, the following are a few cranes currently available for sale. You can always contact us and we’d be happy to discuss your specific needs, our current inventory, and crane pricing.